As the summer winds down, and fall begins to set in, at AuraPlayer it can mean just one thing ….Oracle OpenWorld preparations! Here at AuraPlayer, we are feverishly planning for our participation with features in several sessions, events and of course our booth. But we still wanted to take time to make sure all the Forms community (the needles in the OracleWorld haystack ) would know where to find the Forms content if they intend to participate. 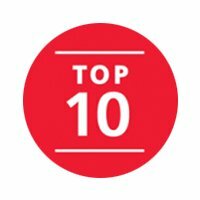 We have prepared our top 10 sessions for Forms developers looking to learn whats now and whats next in the Oracle world for Forms developers. In addition, as always, we love to meet you guys and we are available for free consultations on your upgrade, modernization, mobilization, look and feel, migration, lift and shift to the cloud or any other Forms concerns. We would be happy to schedule time with you so just drop us a note here. Or pop by for a visit at Moscone Center West Exhibition Hall – Level 1 Booth#5229 right near the Exchange Theater West. So here we go top 10 Oracle development sessions …. 1) We of course must begin with our very own Mia Urman and her full of VERY cool demos session on Sunday. Start the week off right by seeing amazing innovations and customer stories of 2 decade old Forms systems extended to mobile apps and chatbots on facebook messanger in a matter of weeks! Have you been running your Oracle Form apps with the same UI for years? Think you are stuck with no choice but to rewrite your Oracle Forms applications in order to reach the non-desktop users? With Oracle Mobile Cloud, you can now take these application to the 21st century and beyond, reaching mobile and messaging app users, without rewriting your Oracle Forms apps. In this session learn how to seamlessly extend Oracle Forms apps to apps optimized for mobile users/devices while leveraging mobile services such as push or offline sync. See how to build bots or chatbots that extend Oracle Forms applications to messaging apps such as Facebook Messenger, or through voice-enabled assistants such as Alexa or Siri. 2) The next session is presented by Suhas Uliyar director of mobile strategy. So although it doesn’t look like it belongs on the list of top 10 Forms sessions. Since it features an amazing customer story of how MTA is innovating their legacy Forms using Chatbots and mobile apps to empower their workers, we put it at the top of the list! This is a must see for anyone looking how to bring their forms into the next generation. The big four messaging apps have overtaken the big four social networks in usage. There are now 4.1 billion users on messaging apps. The phenomenal growth of messaging apps means that chatbots, which allow a computer to maintain a conversation with a person, have become the newest and most critical channel to engage employees and customers. In this session hear from Oracle product and customer executives about how AI will power the next generation of conversational apps through bots, and transform many industries. This is the marquee session for anyone interested in Oracle strategy and vision in this new frontier. 3) Next is the Oracle Forms community’s fearless leader and Oracle PM Michael Ferrante. In this years session, he will drill down into the modern Forms development environment and how it fits into today’s IT landscape. Got Oracle Forms applications? Wondering how they fit into your IT future direction? Looking to integrate them with other apps? Are you running into technology limitation that Forms can’t meet? Learn from the experience of others! In this use case driven session we’ll have an open discussion about Oracle Forms modernization, when is the time to leverage other technologies, and how can Forms app fit into the architecture of modern IT departments. 4) Also top on the list is Oracle’s rising star in the world of desktop low code development tools VBCS – Visual Builder Cloud Service. This is Oracle’s next generation solution for rapid desktop application development. A must see for Forms developers how to click, drag and drop their way to a web based cloud application in under 60 minutes! Are you running into a shortage of skills and having trouble finding developers who can address all your business needs? In this session get an overview of the visual development platform offered by Oracle Cloud. See how quickly you can create applications and automate processes leveraging an intuitive, browser-based development platform. This is a demo-focused session where attendees see the real-time experience of building an end-to-end application. 5) So I wanted to be objective here although you all know what I feel about the NEED to “let go of Forms”. Alex is a great speaker and an ever better technologist. Companies struggle with the question of whether to move to Oracle Application Express when the time comes to let go of Oracle Forms. This session explores the story of a migration project in which the Oracle Forms application needed to be replaced with an Oracle Application Express application. What might have been done better? What were the lessons learned? What was the best choice made during this project? Learn not from the books, but from experience. Oracle Forms is still being developed, and for those whose requirements are being fully met and are up on a supported release, there is no reason to move off Oracle Forms. However, if you are on an older release of Oracle Forms, or need to deliver new modern, intuitive, self-service, or mobile applications then Oracle Application Express is an excellent option. 8) Come see what the hype is all about. Learn how Oracle is developing tools to bring even traditional Oracle developers into the next generation of AI and conversation apps. Chatbot or bots are computer programs that can maintain a conversation with a person. They enable end users to interact with data or a service in the most natural way possible: through natural languages and a conversational UI. By using messaging apps such as Facebook Messenger, Slack, WeChat, or voice assistant such as Alexa, users can interact with chatbots to perform virtually any task. 9) Any session where both Suhas and Siddhartha are talking about their vision for building next generation modern application is one that I don’t want to miss. I’m sure they will pack about 3 hours of content in this 45 minute slot and we will get an overview of what we have to look forward to (or look out for) in the next 2 years in the IT world. Today’s developers are deploying multiple releases per day, sometimes per hour. Architectural designs are changing from monolithic applications to microservices using containers and events. Developers are modernizing existing applications or building new modern applications leveraging APIs, and engaging customers over multiple channels via mobile/chatbots. 10) And last but not least, I always like to attend one “vision” session where we can see the big picture of where Oracle is going with their development and cloud strategy. And there is no one better to hear it from then the SVP himself, Amit Zavery. This session outlines strategy and vision for Oracle Cloud Platform’s comprehensive, open, integrated, and hybrid PaaS offerings. Join Oracle Senior Vice President Amit Zavery as he discusses the journeys that customers are taking to the cloud, and how Oracle Cloud Platform is enabling and simplifying the move to the cloud. In addition, this session demonstrates some of the new, innovative solutions from Oracle including artificial intelligence, chatbots, big data, Blockchain, cloud-native application development, microservices/containers, API management, intelligent integration, cloud security, and more.